Gorgeous custom post and beam colonial in a lovely hilltop setting on a picturesque quiet road in the bucolic town of West Newbury. Over 3200 sq ft of light filled space, main floor boasts a large open concept granite/stainless cooks kitchen that is open to the dining room, screen porch and sitting room and truly the heart of this gorgeous home. Great room with a cozy windowseat reading nook overlooks the rolling countryside. Large master bedroom suite, 3 well scaled bedrooms, full bath and an office round out the top floor. The first floor has a 2 car garage, mudroom and a den. This house is an entertainer’s dream, the kitchen flows to the large airy screened porch, deck and overlooks the wonderful gardens and in ground pool. HURRY THIS IS VALUE PRICED! Please, send me more information on this property: MLS# 72479432 – $600,000 – 205 Crane Neck St, West Newbury, MA 01985. 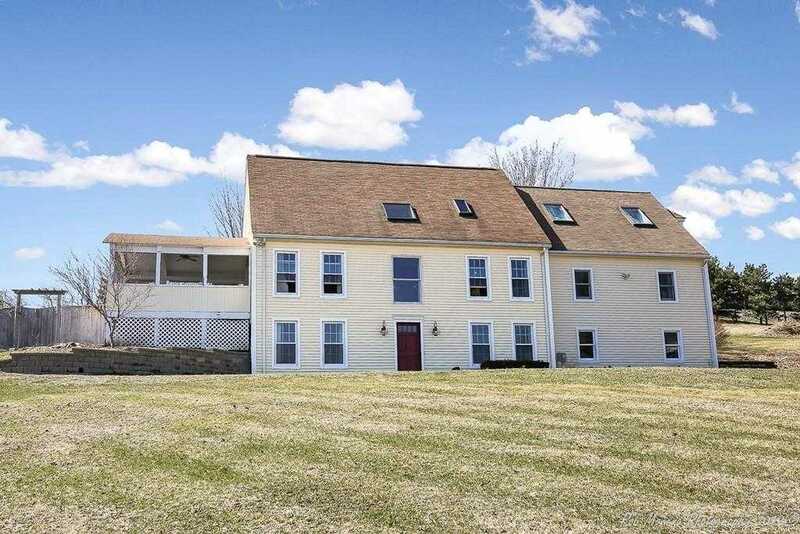 I would like to schedule a showing appointment for this property: MLS# 72479432 – $600,000 – 205 Crane Neck St, West Newbury, MA 01985.